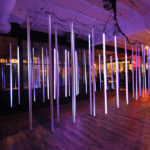 Wanted Design and NYCxDESIGN invited Circus Family to create a custom-built interactive light installation for the official opening of NYCxDESIGN. 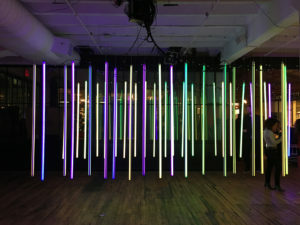 In the artistic community of Industry City, the Circus Family team built an interactive LED installation, called Day & Night, exclusively designed to fit the exhibition space. 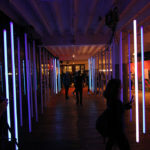 During the day the pulsing light glow invited visitors to be part of the installation. 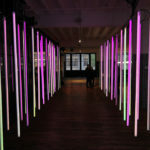 A light experience in which the audience directed colours and audio by simply moving around inside the installation. 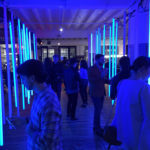 During the night the installation was connected to the audio of the DJÂ and reacted to the music being played via custom coded software. 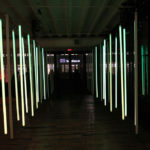 The installation consisted of 48 tubes, 3072 LED light pixels, 4 Kinect depth cameras, 24 vibration sensors, and 3 laptops running custom processing scripts that trigger the LED lights. Circus Family is a family of audiovisual designers with a passion for bringing high-end 2d projects to life, using design, moving image, music and interactive technology. 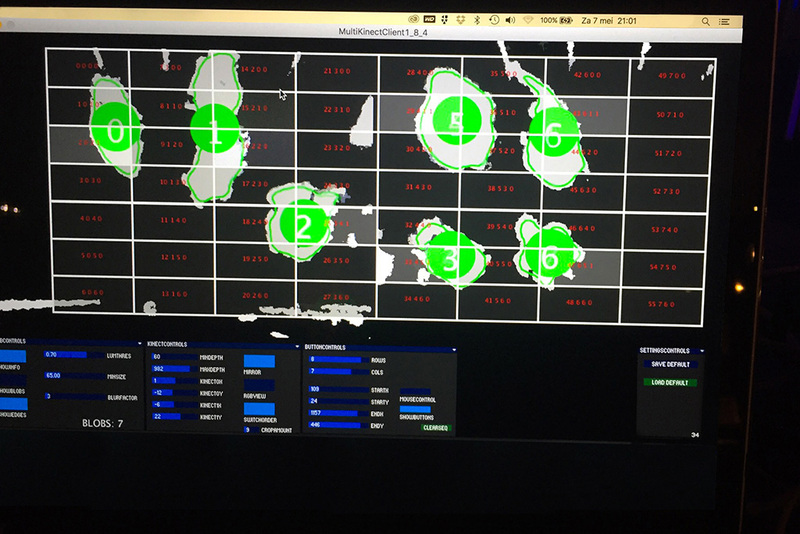 With their unique storytelling solutions for moving image and their mission to create content that – in this case, literally – moves people.